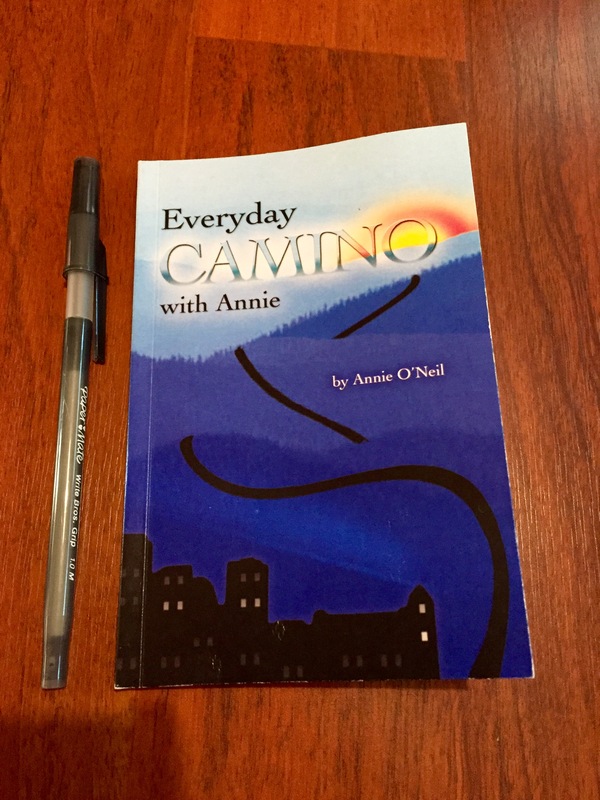 Annie O’Neil, featured pilgrim in Walking the Camino: Six Ways to Santiago, published a pocket-size book called Everyday Camino with Annie, that features 40 days of inspirational quotes and messages that one can read while on the Camino, or anywhere. I love this book because it isn’t based on a particular religion, yet it is very spiritual in nature. The 40 days of inspiration include Zen sayings, quotes from Thoreau, the Dalai Lama, Dr. Wayne Dyer, and even Dr. Suess. Gratitude, intuition, love, simplicity and alignment with the Universe are themes woven throughout the book. Annie encourages us to sit quietly for 5 minutes each day to contemplate the ideas. This “quiet time” reminds us to be grateful, be still, and just be. This book will make an excellent gift for anyone who plans to walk the Camino, or for anyone interested in enhancing their daily spiritual journey. It could even be an introduction to meditation for those who are curious about practicing but never have the time. Walking is a meditation, after all, and combined with Annie’s reflections and a big dose of Ultreia Y Suseia*, this may be just what the doctor ordered! Indeed, the Camino provides. 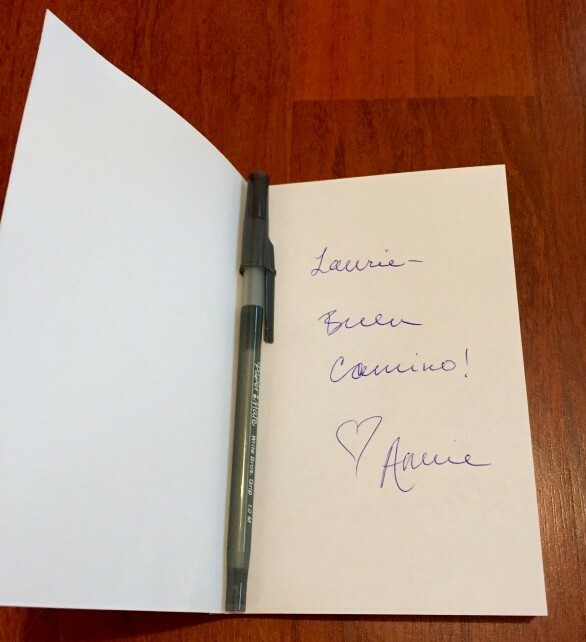 I purchased a copy of this book at the Berkeley screening of the Camino documentary and Annie signed it with the common phrase, “Buen Camino!” which makes it even more special. 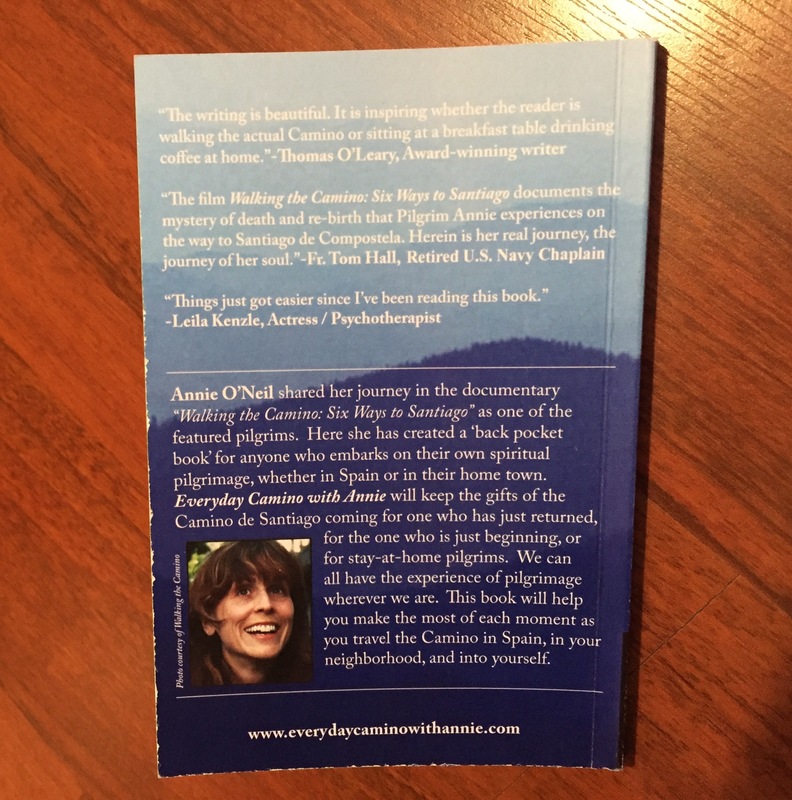 Annie sells copies of this book and DVDs of Walking the Camino: Six Ways to Santiago at screenings of her new film Phil’s Camino and online at www.everydaycaminowithannie.com/. *Ultreia is a Spanish word, derived from the original Latin, meaning Onward! It was in common use by pilgrims to greet and to encourage one another along the Camino. Suseia means Upward, more or less. 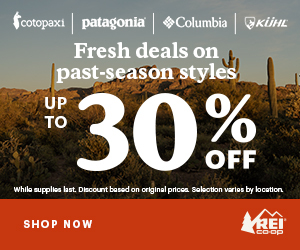 Combine the words Ultreia y Suseia for the saying Onward and upward! There’s even a song about it on Annie’s accompanying CD that can be purchased for $10 at her film screenings. Happy reading and buen Camino! Do you have a book to recommend? I love to read and review Camino books to feature on this page. Dígame in the comments below, or email me. I am sharing a Camino book review from Drew’s blog Trail to Peak. The Art of Walking by Kari Gale is now on my Camino Books page. PS.Do you have a book to recommend? I love to read and review Camino books to feature on this page. Dígame in the comments below, or email me. Even though it’s been three years since I finished my Camino de Santiago pilgrimage, I still think about it regularly. Of all the trips and treks I’ve been on, the Camino was by far the most influential and life changing. With all of the great hiking I’ve enjoyed this summer, I haven’t written any posts related to Camino de Santiago. It’s been a few months now, and that’s just way too long! You can imagine my excitement when I received an email from a fellow pilgrim about her newly released book, The Art of Walking. A blog celebrating the Camino de Santiago and the pilgrim's journey, from the Calling to the Compostela and beyond. The Camino Provides is a lifestyle blog focused on all great things about the Camino de Santiago, and keeping the spirit of the Camino alive in our every day lives. So far, I have walked three Caminos—Portugués, Inglés, and Primitivo— and I intend to walk different routes and volunteer as a Hospitalera in the coming years. As a chapter coordinator for the Northern California Chapter of American Pilgrims on the Camino (APOC), I help promote Bay Area Camino events, organize presentations, and contribute articles for the La Concha newsletter. My new blog at lferris.com is all about yoga, wellness, and promoting a healthy lifestyle. Thanks for following my journey. Buen Camino! I welcome reblogging of content with attribution and links back to TheCaminoProvides.com. 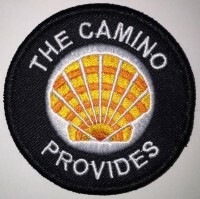 The Camino Provides by Laurie A. Ferris is licensed under a Creative Commons Attribution-ShareAlike 4.0 International License. Based on a work at http://TheCaminoProvides.com.